Huanglongxi has a history of 1,700 years.In 2005,the National Environmental Protection Agency named it is the national "Beautiful Town". 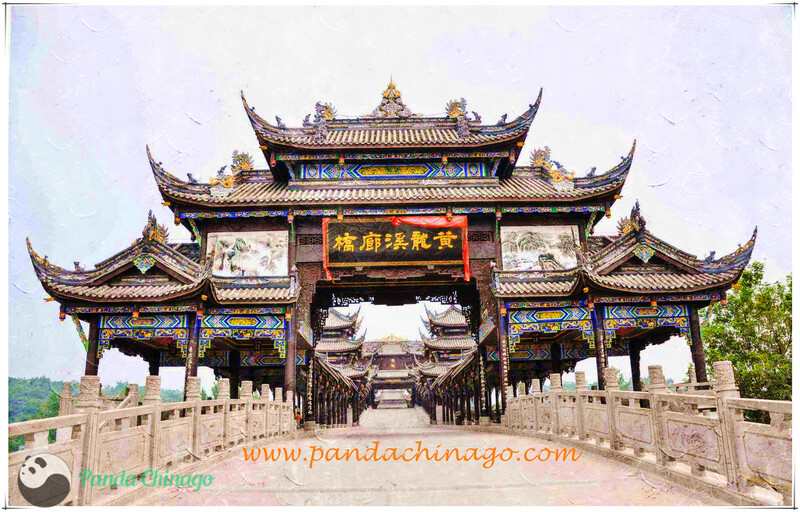 Huanglongxi has a history of 1,700 years , now is the historical and cultural town and the state 4A tourist scenic spots, is one of the top ten ancient town, located in the southwest edge of Shuangliu County, it about 42 kilometers away from Chengdu city. In 2005,the National Environmental Protection Agency named it is the national "Beautiful Town". Jin Jiang flows from north from Chengdu and Huang Long Xizhen throughout the domain, and into the tributaries in the eastern town Huanglongxi Deer River to form the major river systems within the town. The prosperity of the surface of ancient merchant terminal, Tang Dynasty poet Du Fu's eternal quatrains, "commonly used sentences future generations of snow, park boats to moor the door" in the "Miles ship" from Chengdu is the first night of accommodation Huanglongxi, therefore, also form a "move out of the Jinguancheng, overnight Huanglongxi, there are thousands Christine on hand, there are 10,000 night light" to the downtown scene. Typical style of the Ancient Town in Western Town, the ancient arch, ancient temples, ancient buildings and ancient tree houses, ancient cliff seamless, antique, and modern cities in sharp contrast. Attracted a lot of film and television crews to film the town, the "movie", "Chinese Hollywood" said. Huanglongxi the most beautiful time, is that rain and fog, amidst the mist, very poetic. Ancient Town of Centre Street, New Street, side streets, the Ho Street, Lower Ho Street, Fuxing Street, such as six streets for a year just for maintenance and reconstruction of closed-door, all covered with Red stone street, on both sides Construction has also resumed character, simple and elegant. It has also maintained a deep rustic western Sichuan folk culture, from the Southern Song Dynasty in China one must light a fire dragon, the Tea Horse Road and the rise of the tea culture, heritage and the lion the clock since the lights, light ox, unitary Sister Light, will be released, Dragon Boat Club. In addition, Huanglongxi unique farming culture, such as Chen Shuinian, Luo Shuinian and Buddha weirs. The Ming and Qing era buildings abound, are still well preserved. Red stone paved street, poles Qingwa the pavilion houses, carve exquisite railings window lattice, without exception, to give people the feeling of quiet simplicity. The town there are six trees were in the thousand years old big banyan tree, flourish, and crowded in upon, forceful and heavy, to the town have added a number of Reiki. The town is also preserved Temple in Zhenjiang, Chaoyin Si and Gu Temple 3 Temple deep in the streets, winding streets lined with many small hotels, mostly floating in front of white blue side of the Jiu Qi, a "fish Hong Son "," Lu back, "" Tang cakes shop "and, in the wind kept the guests dancing to attract. The stone town is famous bean curd, almost every family would do, but its own unique features. Down a street, see an alley, bluestone road at the foot of bare, shiny black door, antique signs, reveals a deep old-fashioned. 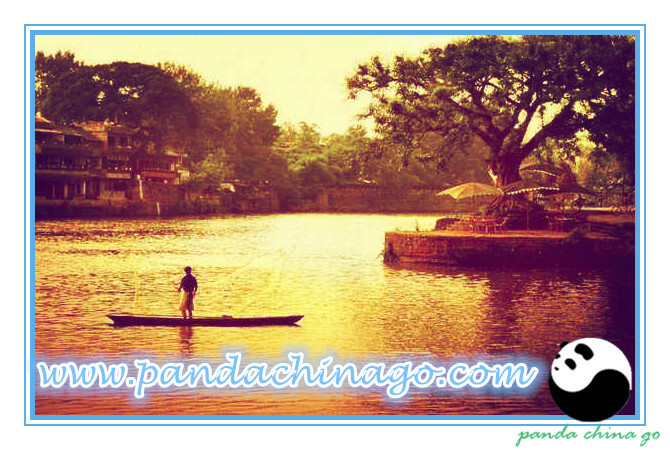 The most unique are its tea houses, road sides, river banks, the bamboo, the "one" to start the bamboo platform, bamboo chair, bench, there are colorful sun umbrellas, a town on an attractive landscape. Two or three dollars a Bowl of Tea, will be able to take a day. 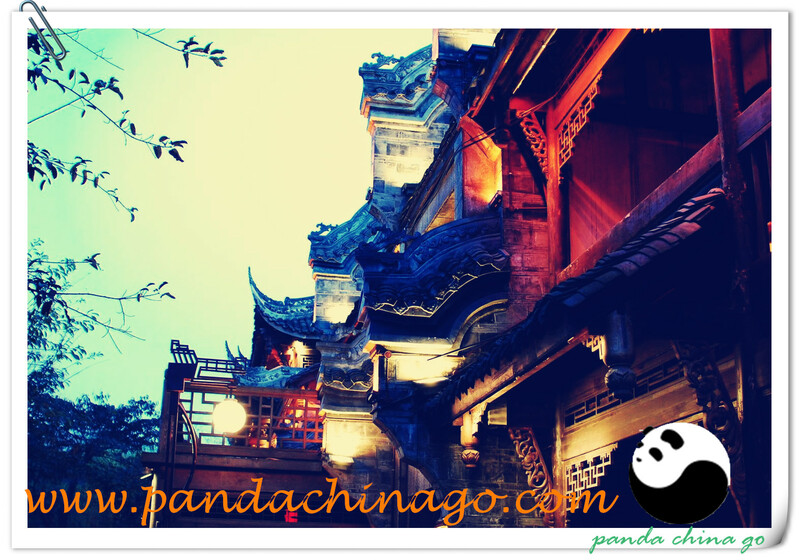 It is a relaxed, elegant enjoyment, but also experience the life of the great old Chengdu place.